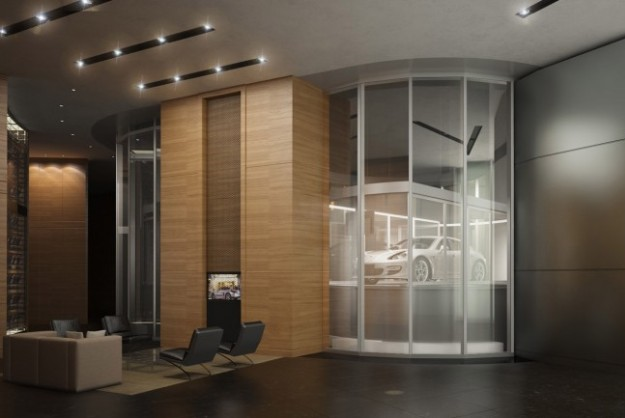 The Porsche Design Tower is a proposed skyscraper for Sunny Isles Beach, Florida, designed by Porsche Design Studio. 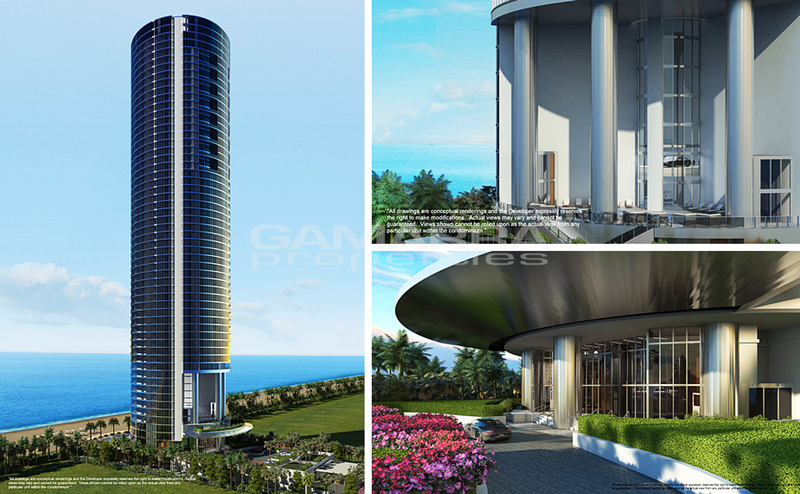 At 641 feet (195 m) with 57 stories, it will become the tallest building in Sunny Isles Beach. It is unique for its inclusion of a robotic parking garage, having 284 parking spaces for 132 units allowing unit owners to park two or four cars right outside their unit. Drivers ride up the elevator in their cars and are placed into their own “garage” adjacent to their unit.The tower will have three elevators to take cars to their units and is expected to cost about $560 million to build.